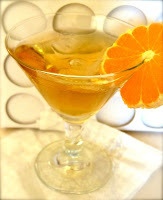 Today was Day #6 of Chocolate and Orange/Citrus Theme Week. 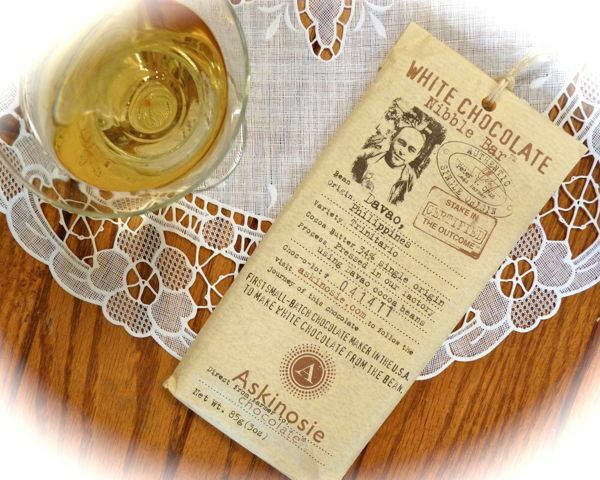 It's May, the weather is hot, and even though it's not Memorial Day yet, it's OK to wear white -- white chocolate that is, perhaps paired with St. George Spirits Qi White Tea liqueur - flavored with orange with crushed ice. For a second chocolate and orange iced tea combination, without the alcohol, I brewed up a batch of Good Earth Super Green Tea -- Matcha and Sencha green tea suffused with fragrant orange flavor. 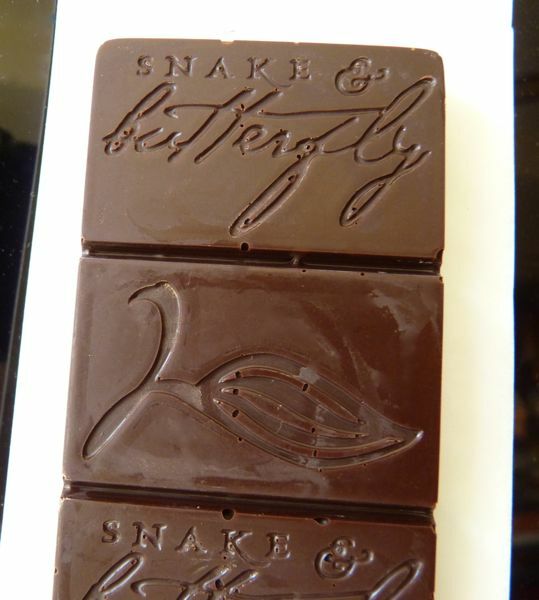 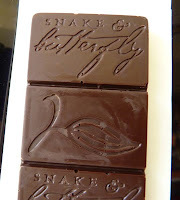 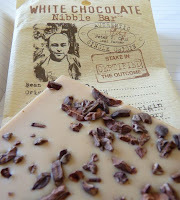 Either version of iced tea is nice for sipping with Snake and Butterfly's dark 67% Belize bar, or Askinosie Chocolate's White Chocolate Nibble Bar - with rich, single origin cocoa butter made using Davao Trinitario cocoa beans from the Philippines.